Carpets are very good at attracting dirt and stains but very difficult to clean and in Camden carpet cleaners need to be good at what they do to leave upholstery as good as new and not create any damage to the fabrics. Our carpet cleaning is very reliable and effective and our rug cleaning specialists use products that are highly effective and yet non-harmful when used on fabrics. You can get your living room carpet restored to its previous state very easily with the help of Carpet Cleaning Camden and the machinery we use. Having your carpet clean has never been easier. Give us a call on 020 3540 8135 and get an extra discount now! Why Choose Our Upholstery Cleaning Service in Camden, NW1? Upholstery cleaners in NW1 region don’t come better than ours. You can call any other upholstery cleaning provider but you simply won’t get the quality of upholstery clean that you deserve. Our furniture cleaning is very thorough and we use the most sophisticated products and machinery to bring about the intensive clean that you need to get your curtains, settees, cushions and carpets into an immaculate condition. We use products and deep heat cleaning machines that are highly effective yet also extremely safe and won’t cause harm to persons or objects. Our upholstery cleaners are available for very low cost. 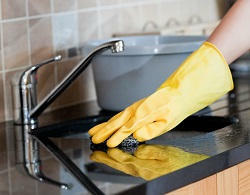 Our Camnde end of tenancy clean is something that any tenant should be able to rely on. When you are leaving a residential property and need to get it cleaned to a high standard, our end of tenancy cleaners offer a very expansive service which involves cleaning every single part of your home very intensely. Carpet Cleaning Camden has experts who clean bathroom floors, ovens, kitchen tiles and tops, oven hoods and fridges very thoroughly and we won’t rest until not a speck of dust remains. For move out cleaning that will get you your deposit back contact our cleaners today! 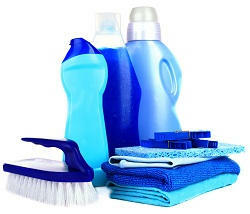 There are many advantages to using our domestic cleaners NW1. One of them is the initiative we show. We don’t just work to strict instruction and do nothing more. Our home cleaning includes replacing bin liners, doing your ironing and washing clothes, changing bed linen and any other task we can find. Also, our domestic cleaning includes provision of all cleaning products which means you don’t need to even own a hoover or cloth. Lastly, you can have your home clean at any time that you want it due to the flexibility of our workers and we will come to you as often as you like. All you have to do is give us a ring on 020 3540 8135 and get our special offer. A house clean is something that you may struggle to find time for, many of us working hard and playing hard in London today. Our Camden house cleaners are there to take the burden of housework off your shoulders and deliver a high standard of cleaning for a very reasonable price. Getting your house clean means hours of hard graft but Carpet Cleaning Camden can do it all for you for very little and we’ll bring all the products we need. You can ask us to do any task you want us to. Our house cleaning includes help cleaning the oven and the bathroom floor and doing the windows, dusting the ornaments and cleaning out the fridge. When Camden office cleaning needs doing out of hours, we are the commercial cleaners you definitely need. Our office cleaners work flexible shifts to enable us to come to business premises after everybody has gone home in the evening, and this allows us to work our magic without distracting you. Our professionals can deal with commercial cleaning for companies who need their premises thoroughly washing and tidying to comply with health and safety regulations. To get your office clean to a very high standard, call our cleaning company on 020 3540 8135 today for a free quote. We are the experts in carpet cleaning across Camden NW1, so do not hesitate and give us s call on 020 3540 8135 to get our great deals! When the last set of tenants moved out of my property, unfortunately they left it in a real tip. I didn't have the time to rectify the situation myself so I called in the experts, Carpet Cleaning Camden. As a businessman, I'm always on the lookout for the best prices and deals, so I did a substantial amount of research, and they were definitely the company that stood out. On cleaning day they were fantastic and did everything I could have asked for. Great service! As someone who loves cooking, I find that it can often be ruined by the mess in the kitchen. Food can get everywhere, and it can spoil the fun if I have to spend so much time cleaning up, but it can taint the foods if I leave such mess. This is why I let Home Carpet Cleaning Camden be in charge of my kitchen cleaning. They do all the work so I don't have to, giving me more time for cooking. It also means that the kitchen always looks its best and is sanitary, in perfect condition to prepare food. They allow me to keep up my hobby and so I am thoroughly grateful for their hard work. Camden, Marylebone, Euston, Regent's Park, Baker Street, Camden Town, Somers Town, Charing Cross, Primrose Hill, Barnsbury, Canonbury, Kings Cross, Islington, Fitzrovia, Pentonville, De Beauvoir Town, Hatton Garden, Hoxton, Oxford Street, Soho, Lisson Grove, Chinatown, Mayfair, Piccadilly, Hanover Square, Finsbury, Finsbury Estate, Bunhill Fields, Shoreditch, Knightsbridge, St James's, Pimlico, St John's Wood, Belsize Park, South Hampstead, Swiss Cottage, NW1, WC1, E2, NW5, EC1, N5, NW8, W1, N1, N7, E8, NW3 and the rest of London as well. Description: Avail yourself of our exceptional low prices and get the best domestic carpet cleaning in Camden, NW1. Hurry up and dial 020 3540 8135 now for a free estimate! Copyright © 2013 - 2015 Carpet Cleaning Camden. All rights reserved.